We keep two sizes of cedar TGV in stock, ex. 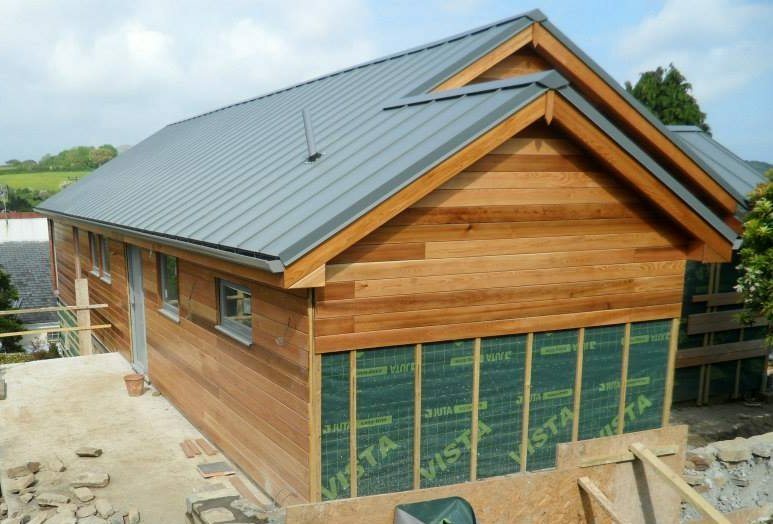 22mm x 100mm and ex 22mm x 150mm, the larger size is popular for cladding upper elevations and gable ends because of longer service life and limited maintenance requirements than other timbers. 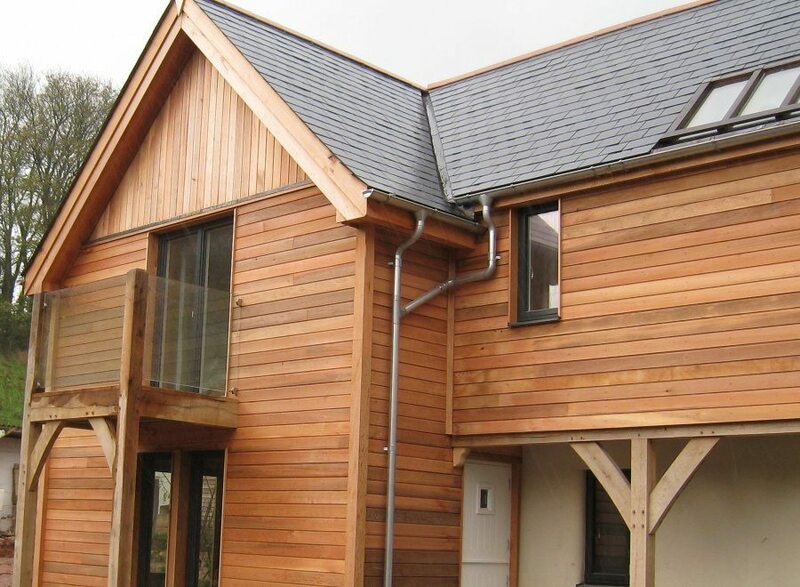 Western red cedar is naturally rot and insect resistant, it is also very stable and light in weight making it suitable for ceilings, pedestrian & garage doors, soffits, feature walls, stairways, saunas, Jacuzzi enclosures etc. 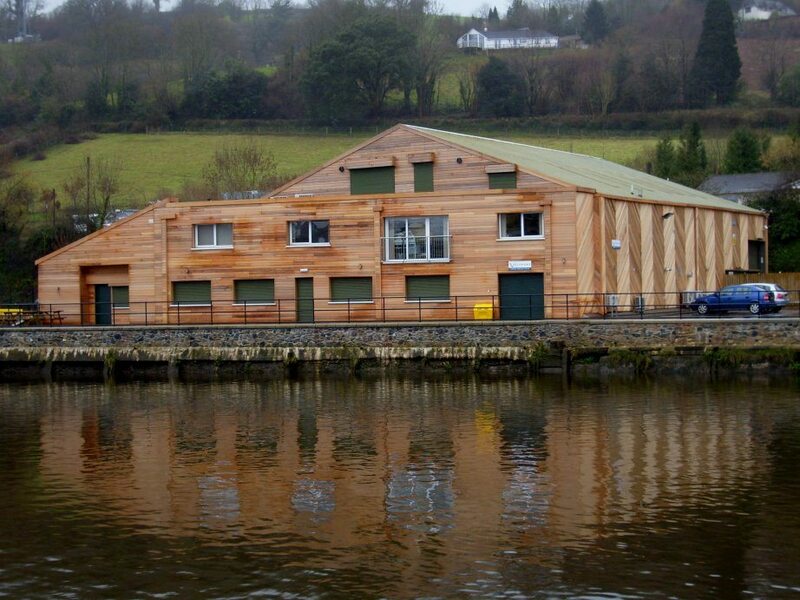 Our standard stock cedar cladding grades are machined from grade No. 2 Clear & Better Western Red Cedar with 15% No.4’s. The No.2 grade means that only minor imperfections are allowed, allowing 15% of grade 4’s which helps to keep costs down and adds a little more character to the product. Cedar boards are popular for their durability and stability, they are sap and resin free with a high tannin content making them naturally insect & rot resistant. The ex.22mm x 150mm TGV boards finish at 17mm thick and approximately 135mm cover making them suitable for cladding larger areas. They can be used for making larger doors, cladding utility buildings, home offices, summerhouses and log cabins to name just a few. These ex-150mm TGV boards are on average slightly longer, typically boards are in the 1.83m to 6.0m (6′ to 20′) range. Cedar timber boards should be fixed with stainless steel or bronze alloy fixings because the natural tannins in the board will corrode iron, galvanised and aluminium fixings. 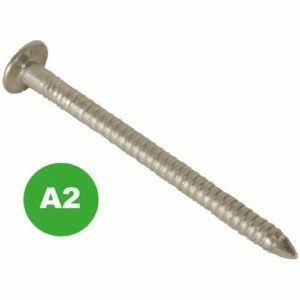 We stock stainless steel lost head and annular nails, along with stainless steel panel pins and screws. Paslode stainless nails are normally stocked at 51mm and other sizes are available to order, usually with a 24-48 hour lead time. Cedar timbers are naturally a bright vibrant combination of pinks, reds and brown hues but without treatment they will begin to grey quite rapidly. Osmo 410 and 420 Clear UV-Protection Oils contain ingredients which prevent the UV-rays from reaching the wood surface. As long as the rain or water can run off the wood (vertical surfaces) then the UV-Protection Oil slows down the greying process. Osmo UV Protection Oils are satin-matt, clear finishes for exterior use. They are based on natural oils, they are microporous, and do not crack, flake, peel or blister. This range is based on natural vegetable oils which penetrate deeply into the wood, keeping it elastic and healthy, and preventing it from drying and becoming brittle. The wood is allowed to breathe. Moisture can evaporate. 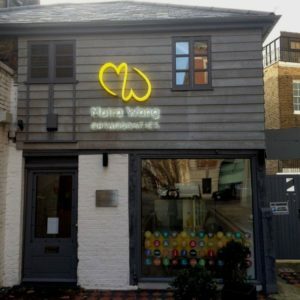 Shrinking and swelling are reduced. In addition to the Osmo 410/420 clear oils, there are other options (425 Oak & 428 Cedar) which contain pigments to add colour and further slow down the greying process. Whenever the wood requires re-treatment applying either of these Osmo oils adds an element of colour to the natural timber with the appropriate pigment. These Osmo clear and pigmented oils can be used on vertical exterior timber including doors, windows and window sills, carports, timber cladding, balconies, log cabins, summerhouses, furniture and other smooth planed (not sawn) products. 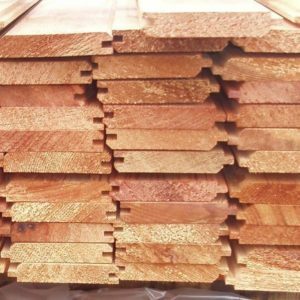 Other western red cedar profiles stocked include Shiplap, Shadowgap, PSE (Planed Square Edged) and Grade 1 Blue Label Certigrade, Shingles & Ridges. 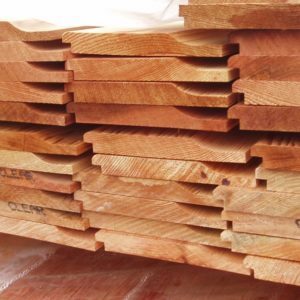 Other special profile cedar products, Parallel Chamfered plus planed rebated and sawn featheredge are machined and brought in to specific orders.